Apple Inc. is about to pump up the volume on its audio-device strategy, planning higher-end AirPods, a new HomePod and studio-quality over-ear headphones for as early as next year, according to people familiar with the matter.The Cupertino, California-based company is working on new AirPods with noise-cancellation and water resistance, the people said. Apple is trying to increase the range that AirPods can work away from an iPhone or iPad, one of the people said. You won’t be swimming in them though: The water resistance is mainly to protect against rain and perspiration, the people said. 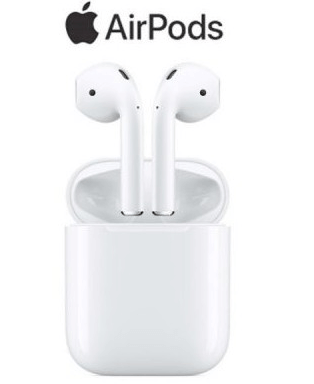 Slated for 2019, the earbuds will likely cost more than the existing $159 pair, and that could push Apple to segment the product line like it does with iPhones, one of the people said. Apple is also working on a wireless charging case that’s compatible with the upcoming AirPower charger.The company has also internally discussed adding biometric sensors to future AirPods, like a heart-rate monitor, to expand its health-related hardware offerings beyond the Apple Watch, another person said. The current AirPods will be refreshed later this year with a new chip and support for hands-free Siri activation, Bloomberg News reported. Apple’s latest music-focused device, the HomePod, was also delayed, and has seen sluggish sales so far -- although reviewers praised the sound quality. Apple is working on a new version of the HomePod for as early as next year, and it could switch production away from Inventec for the latest model, according to people familiar with the relationship.